VeloNews Story on The Feed Zone Cookbook! “It sounds odd, but a bowl of cereal was the genesis for the recently released cookbook, “The Feed Zone: Fast and Flavorful Food for Athletes.” The moment of inspiration came during one of Allen Lim’s first trips to Europe, where he witnessed a young pro cyclist pour himself the aforementioned bowl of cereal — for dinner. Clearly the nameless racer was tired of the standard bland chicken-and-pasta diet that’s so common in the professional peloton and was looking for a change. Sadly, the best he could do was a box of bran flakes. 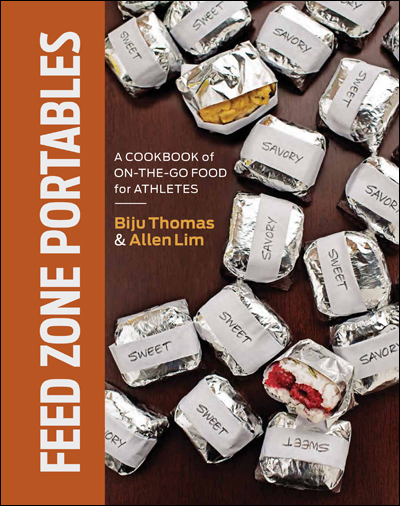 Read the full story “Allen Lim, Biju Thomas team up on recipe collection for busy athletes” on VeloNews.com.